Even the most adaptable health institutions run into problems. Most of the time, these concerns have to do with coordinating healthcare for their patients and implementing the necessary disease management efforts. 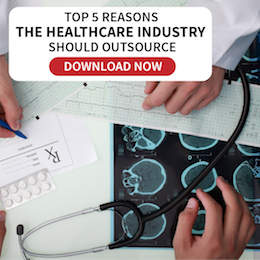 Fortunately, there are various healthcare delivery services that you can use in order to make these tasks easier. Cognitive computing will give you the power to analyze big data and to find the information that you need. With this technology, you will be able to deliver appropriate care to your clients. It will definitely change the way that the healthcare industry has been functioning, and it will be challenging to maintain a competitive practice without it. Essentially, cognitive computing involves the use of technology to mimic the natural human thought process. It is usually used to gather and analyze data, recognize patterns, and to process different kinds of information. Using the right IT systems and tools, organizations can now solve even the most complex problems without having to go out of their way in extending human effort. Cognitive computing systems use the wealth of data that they are given in order to look for information patterns and to anticipate next steps and occurrences. This makes it possible to foresee possible problems and to prepare the necessary solutions ahead of time. Why is it Important to Explore Cognitive Computing for your Practice? Over the past 100 years, the field of healthcare has come across numerous changes and innovations that make it possible to provide better care for patients. However, throughout the years, research and development have been heavily focused on treating and dealing with diseases that are already at hand. 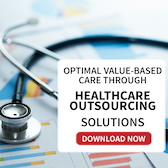 When it comes to finding remedy for current problems, today’s current technology and healthcare delivery services is fully capable to implement the required processes. However, when it comes to anticipating patients’ needs and planning out the necessary disease management efforts, the industry falls short. For this reason, it’s important that organizations start investing on cognitive systems that will empower them to be more preventive, instead of reactive. How does this Technology Revolutionize Healthcare? Cognitive computing practically aids in the different parts of healthcare delivery and disease management. This kind of technology is not just used to analyze history of patient care for an individual but also to help the field on a grander scale. In the field of medical research, this technology is necessary to analyze huge amounts of data and information. Cognitive computing makes it possible for the industry to keep learnings up-to-date and relevant. It helps practitioners develop the proper insight and practical applications, which can then be used to ensure that they provide the best possible quality of patient care. Cognitive computing has also helped practices optimize their everyday processes. This is especially true when it comes to the issue of clinical and operational efficiency. There is no doubt that managing your practice, delivering the necessary healthcare services to your patients, and implementing the required disease management efforts will eventually take a toll on your employees. With the right technology and the best healthcare delivery services, you will have the power to analyze patient information and still give your staff more than enough time to do what they do best: to take care of your patients. Investing on Cognitive Computing will help you provide personalized care for your customers. Relying on your doctors’ memory makes way for errors. In addition to this, your personnel may not have the necessary skills to anticipate long-term patient needs. By using a cognitive system for your practice, it will be easier for you to give your patients that level of care that their conditions require. It will also be easier for you to map out treatments plans that will give the highest level of effectiveness. Finding the necessary preventive methods will help you minimize potential health risks on behalf of your clients. Prevention is, after all, better than cure. In addition to using your extensive knowledge in prescribing healthy habits for your patients, cognitive computing will help you determine key findings that will make it easier to instill these lifestyle changes. Because you will have substantial data regarding disease projection, you can use these in convincing your patients to take better care of themselves. The field of healthcare is ever-evolving, and it is necessary to keep up with these technological changes in order to take care of your patients the best possible way. Infinit Healthcare is one of the leading providers that can help you ensure that your practice is in the forefront of the field. 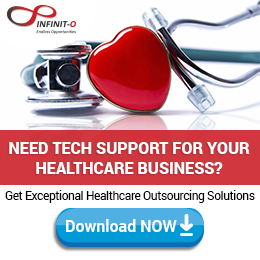 Contact Infinit Healthcare and inquire about different healthcare delivery services that you can use to revolutionize the way that you take care of your patients.